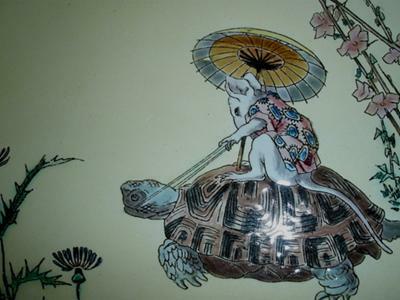 I purchased a number of antique items from an elderly man and this Antique enamel plate with tortoise and mouse decoration was among the purchases. The design is done in enamel and the detail in the decoration is exquisite.. 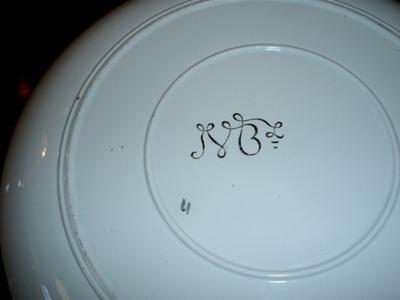 I know the base mark is not an American mark and would appreciate if someone could identifying the maker of this antique enamel plate. 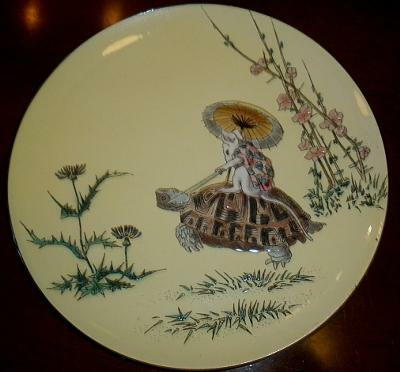 This looks like a beautiful antique plate Mary and I really love the mouse and tortoise decoration. The mark isn’t one I recognise but I will see if I can find it in any of my references. Just love that mouse and tortoise.